There is plenty to do and see on the estate without venturing far, or getting into your car. 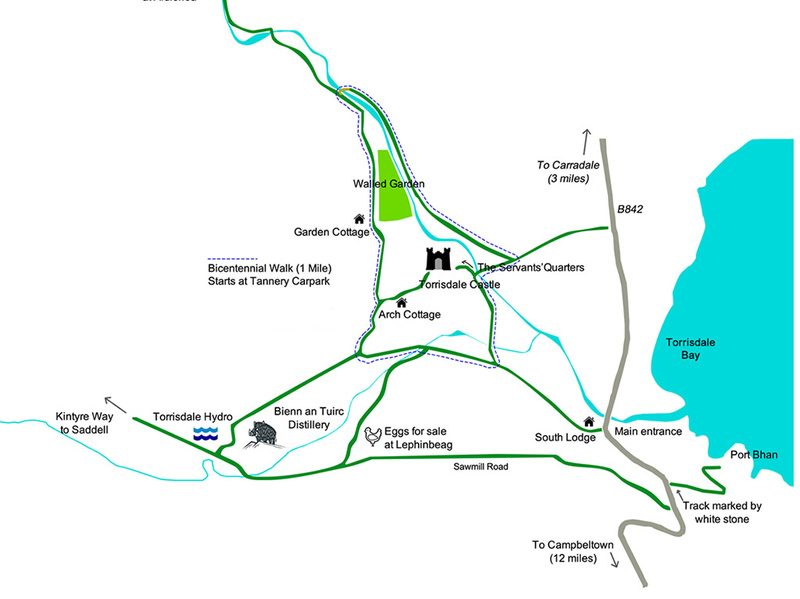 The grounds offer excellent walking opportunities, and in 2015, to commemorate the 200th birthday of Torrisdale Castle, we created the bicentennial walk. This is a leisurely 1 mile stroll through the estate, marked by blue arrow markers on posts. There is now the ability to walk a section of the Kintyre Way, directly from Torrisdale, without going near a public road. From the Kintrye Way link, the entire spine of Kintyre is now easily accessible. 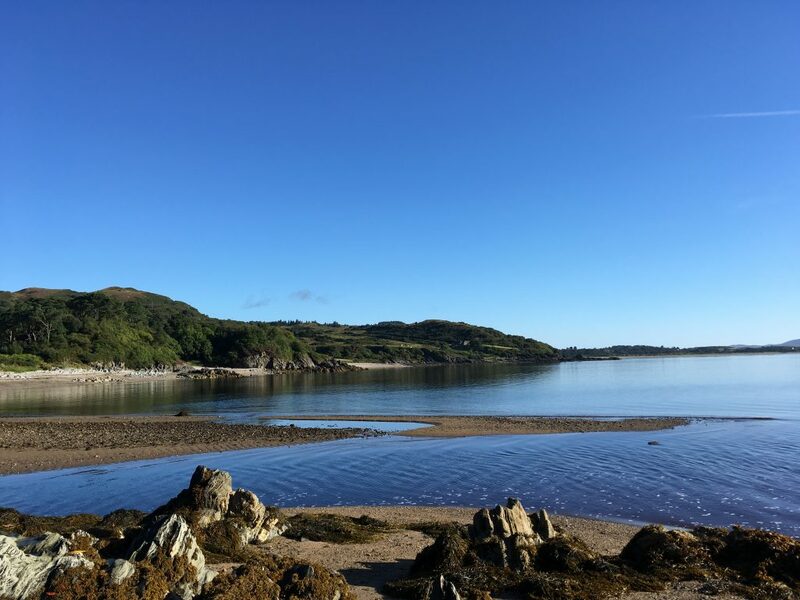 Torrisdale has its own private beach, and you are welcome to bring your own canoes, dinghies, or other water sports equipment on the basis you do so at your own risk. Bikes and mobility buggies can also be hired locally from the excellent Carradale Bikes and Buggies service and while not testing, the estate tracks are ideal to explore on two wheels or four.